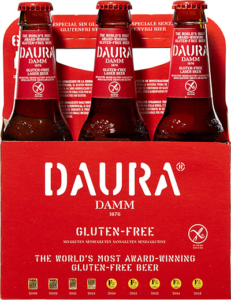 Estrella Damm Daura uses the original 1876 basic recipe, but unlike other gluten-free beers, which use sorghum as a substitute for wheat or grain, DAURA uses barley-malt. 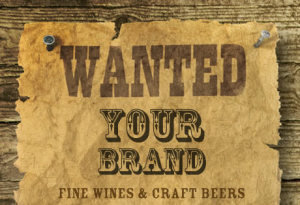 A proprietary brewing process strips the gluten protein from the barely malt, leaving only the “real beer” taste. The result is a gluten content level less than 6 parts per million (ppm) which is below the 20 ppm required for gluten free products.This delicious gluten-free beer from Barcelona, Spain has won numerous awards for beer excellence, including a Gold Medal at the 2011 World Beer Championships in Chicago, a Gold Medal at the 2011 International Beer Challenge in London, and the title of World’s Best Gluten-free Lager Award at the World Beer Awards in London.